This entry was posted in Home, Vikes v. Pack and tagged 49ers versus Packers, Aaron Rodgers playoffs, Green Bay Packers playoffs, Packers 49ers, Packers playoffs, Rodgers against 49ers, Rodgers chip on shoulder, Rodgers draft, Rodgers green room, Rodgers motivation, Rodgers playoffs stats. Bookmark the permalink. 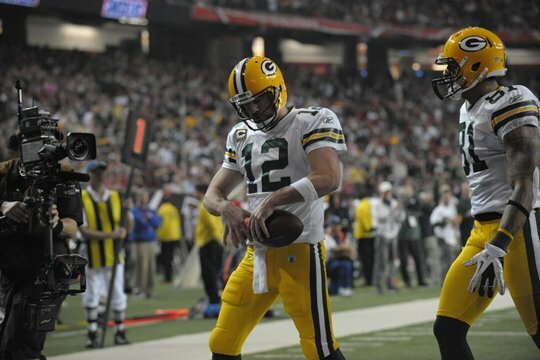 That chip has carried Aaron Rodgers a long way so far. I think it will help him lead his Packers to a win on Saturday night.